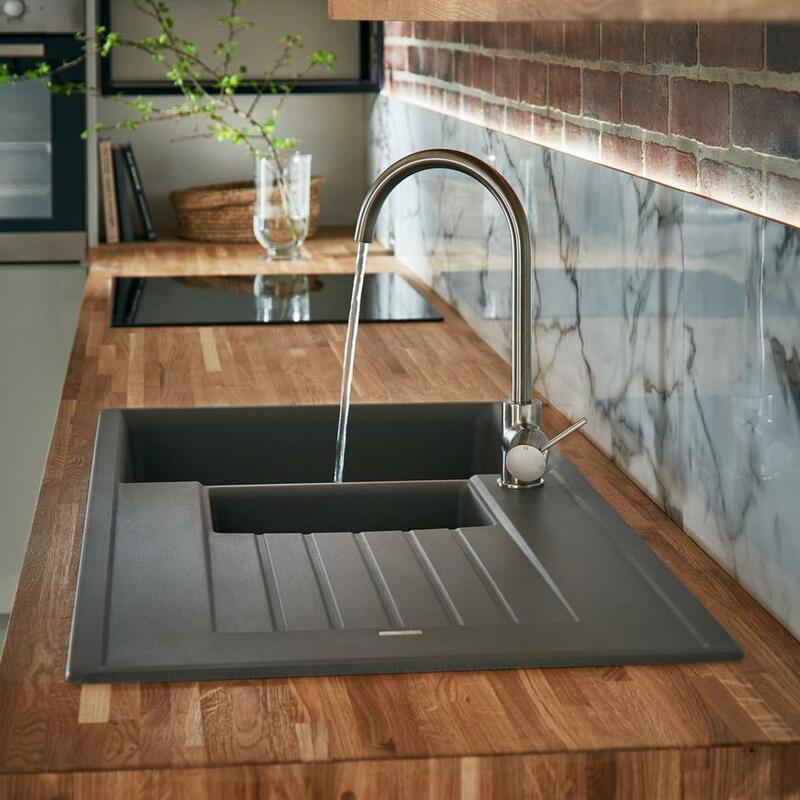 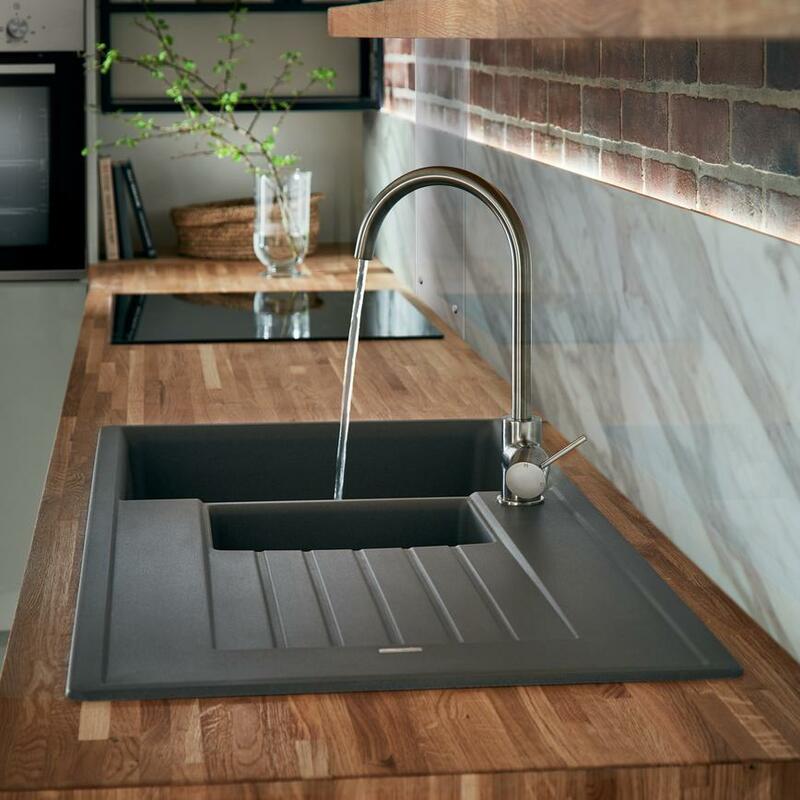 Create a monochrome look in your kitchen with this reversible Lamona 1.5 bowl composite sink. 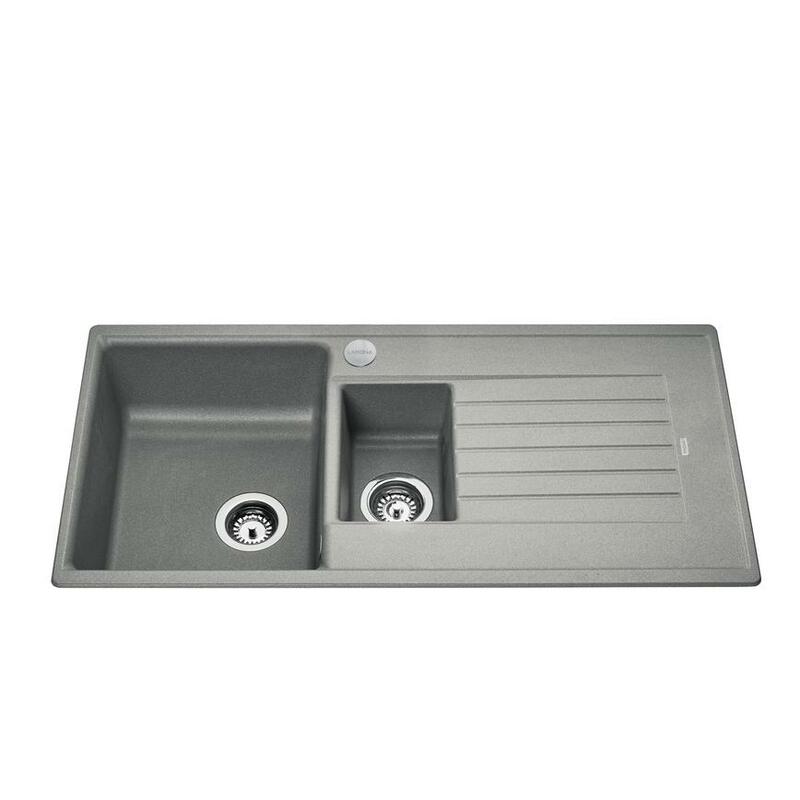 This inset 1.5 bowl sink is made of granite composite, which is hardwearing and highly scratch and stain resistant. 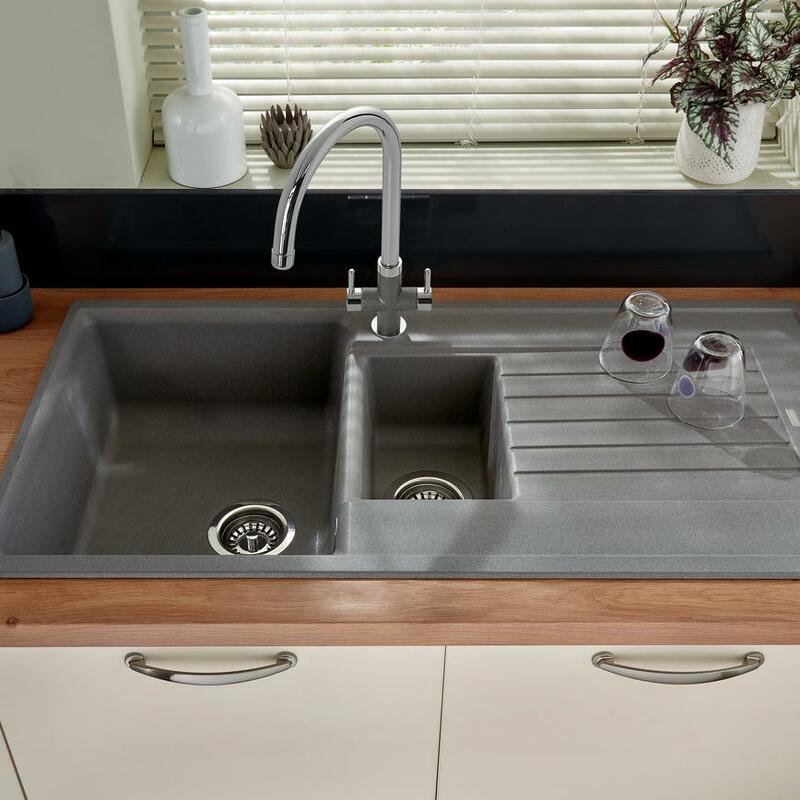 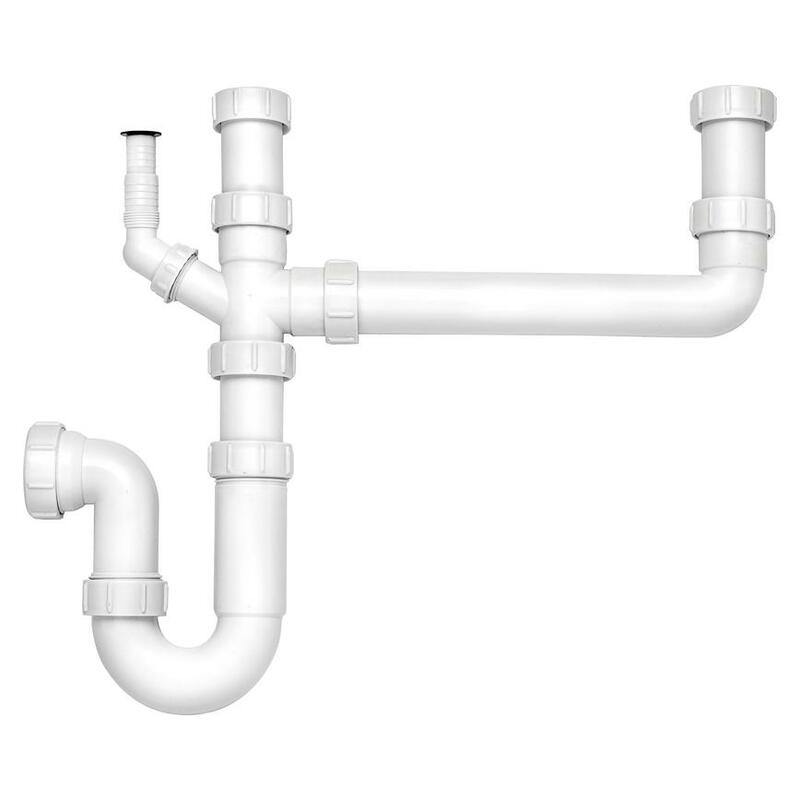 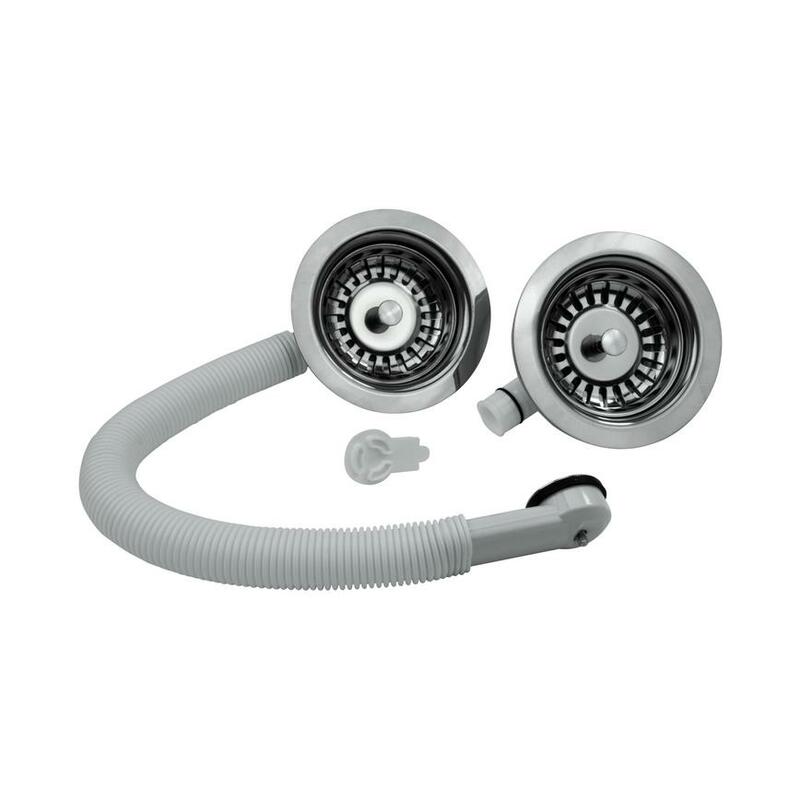 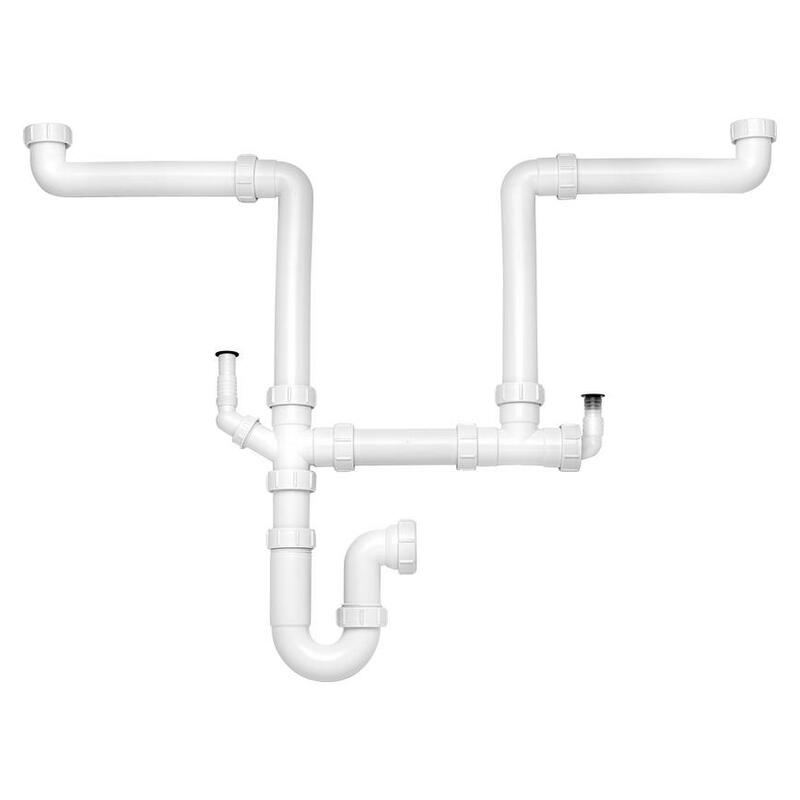 It has a deep, 31L capacity, and is reversible, so can be fitted to suit your kitchen layout. 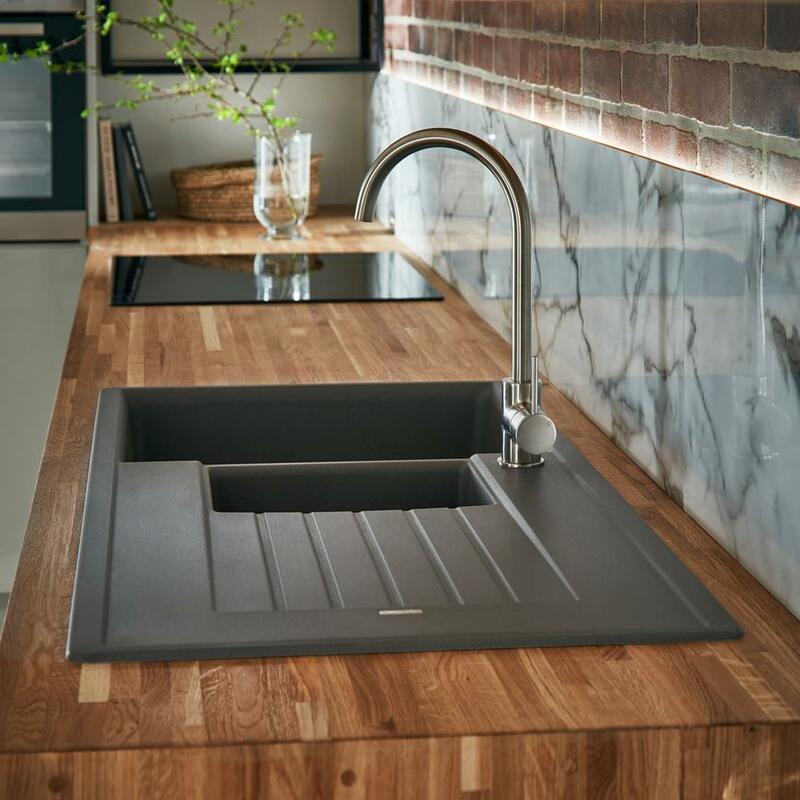 Available in black, grey or white to complement your kitchen.